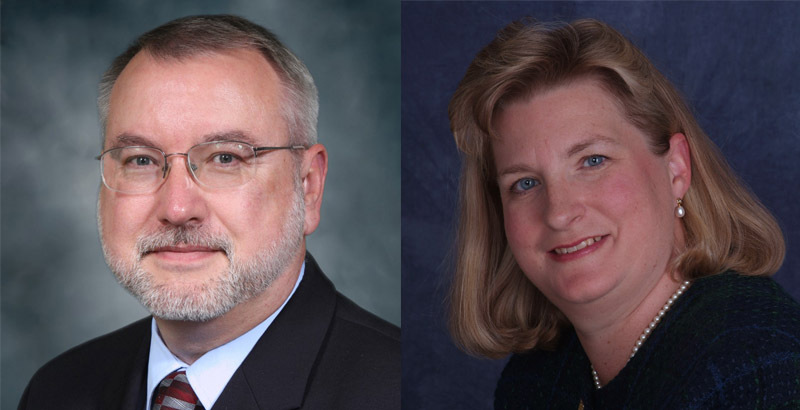 The Southeast Maritime and Transportation (SMART) Center has named Thomas Stout as its principal investigator and Jennifer Palestrant as its director. Housed at Tidewater Community College’s Virginia Beach Campus, the SMART Center is the only National Science Foundation Advanced Technology Education center in Virginia solely focused on developing a pipeline of credentialed skilled technicians in the maritime and transportation industries. As the principal investigator, Stout is responsible for leading the center’s mission to create effective regional partnerships to advance technological education programs that respond to maritime and transportation employers’ needs for well-educated, credentialed technicians. Stout is also dean of science, technology, engineering and mathematics on TCC’s Chesapeake Campus. He holds a bachelor’s of science from Old Dominion University and a master’s in electronics engineering from Norfolk State University. He served in the U.S. Navy, retiring as a Senior Chief Petty Officer in avionics after working 20 years on ships and aircraft. As the newly appointed SMART Center director, Palestrant will provide overall center leadership and operational management. Working collaboratively with community college partners, the maritime community and TCC faculty and administrators, she will provide regular oversight for the planning, development and implementation of the center’s goals. Palestrant has more than 25 years of marketing and management experience with nonprofits and professional services firms. She earned a master’s in marketing from the College of William &Mary and a bachelor’s from the College of Wooster in Ohio. Previously, she was a senior vice president for membership and communications with the Hampton Roads Chamber of Commerce. The SMART (Southeast Maritime and Transportation) Center is one of 42 National Science Foundation Advanced Technological Education (NSF ATE) programs nationwide and is housed at Tidewater Community College on the Virginia Beach Campus. It is funded under NSF grant DUE 1003068. Learn more at www.maritime-technology.org.